I have put together something special for you today. It’s “The Complete Guide to Double Closings; How to Buy Property Even When you’re Broke”. Double closings are also called simultaneous closings. There is so much confusion when it comes to doing double closings especially for new investors. While this subject appears to be complex, it is really quite straight forward in how it is done. There’s a lot of information to cover so let’s get started. I will go over what a double closing is, exactly how it all works, and I also tell you why I prefer double close rather than assign the contracts. How to by property even when you're broke! What Exactly Are Double Closings? Real estate investors are no long limited by geography when it comes to investing in real estate. Because of the internet they can invest virtually anywhere in the US or even in another country. Investors with cash have a distinct advantage over all other buyers. When a seller has an offer from a cash buyer, that buyer automatically jumps to the top of the list. 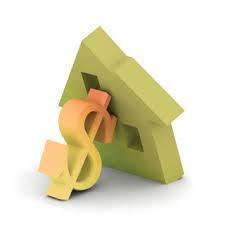 In fact, motivated sellers are often willing to take less for their property in exchange for quick cash sale. Today we are going to take a look at cash buyer markets. Specifically which areas have both the least and the most cash buyers. My article today is a guest post from someone familiar to you, Satinder Haer of Zillow. She is just a wealth of information so I always look forward to having her back.